On Wednesday night in the Union, “Black Friday at Springfield College,” as Assistant Director of Student Activities Annie Warchol referred to it, the Build-A-Bear Workshop took place for the Inauguration of President Mary-Beth Cooper. “We are trying to build up spirit and excitement for the president’s inauguration and do service for others. 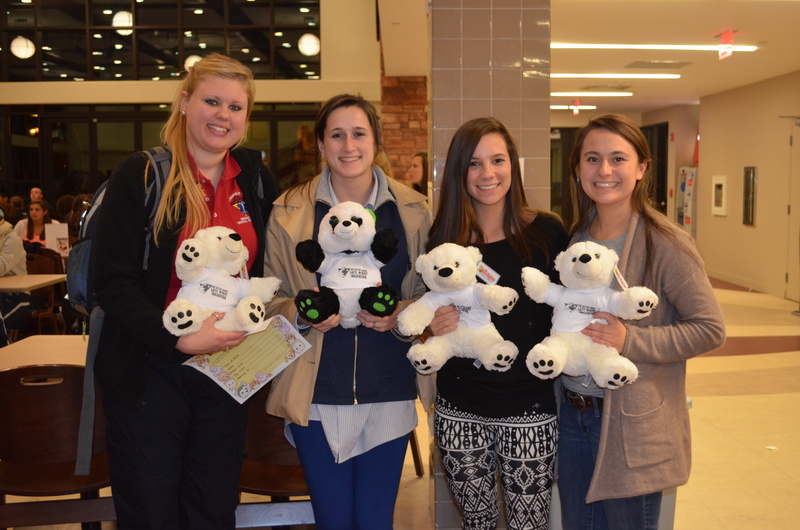 This whole event is to get people to donate bears to kids at Shriners Hospital,” said sophomore Paige Moran. The Build-A-Bear Workshop donated 50 bears to Shriners Hospital, on top of other bears that students also donated from this event. There were 100 bears for students to build. The decision was theirs to either keep or donate. The line for this wrapped around the Union and brought students closer together. “We organized the events and put things together that really celebrated the college and the president and embodies what Springfield College is about and what leadership and service looks like,” said SGA President Becca Jacobson. This event is among many other events that are taking place this week for the president’s inauguration, happening Friday at 3 p.m. in Blake Arena. “We wanted to bring in the three elements of spirit, mind and body to the inauguration…It’s been a really fun week looking at where we are and where we are going,” said Warchol. The Build-A-Bear Workshop brought a plethora of people together; it recognized the good in the college with donating these bears to the sick children. Cooper stopped by and built a bear as well. She was walking from table to table, encouraging the students to build bears with her exceptionally personable attitude, making them feel closer to home at Springfield College. Thank You Ladies for the Bears !